Stefan Magdalinski decided to surprise his with with a new Apple iPad for her birthday, and he also decided he would disguise her present so she wouldn’t know what it was. 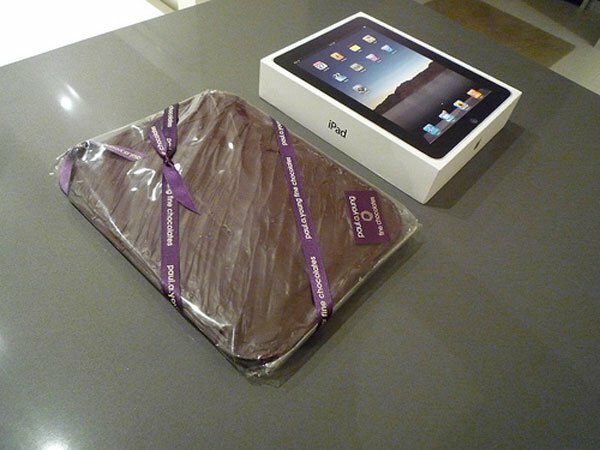 Rather than putting the iPad in a larger box and disguising it that way, Steve came up with the ingenious idea to have the iPad frozen in chocolate, so his wife would think she was getting a large bar of chocolate for her birthday. Steve lives in South Africa, and bought his iPad in London, he then had it frozen in chocolate but the guys at Paul Young chocolates. 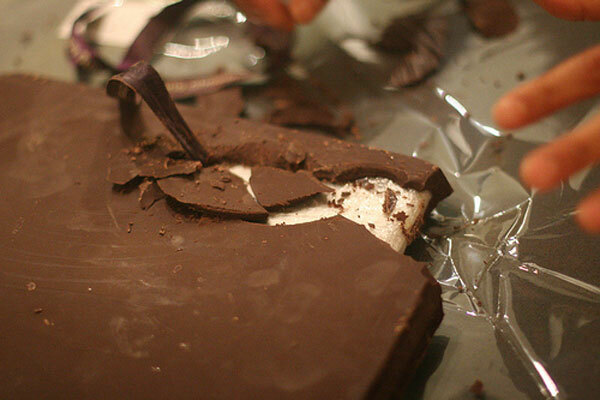 Steve then had to explain to airport security on his way home why there was an iPad inside the giant bar of chocolate he was carrying. It seems the iPad survived being frozen in chocolate, and the long trip home, lets hope his wife doesn’t want an iMac for her birthday next year as he could have some trouble disguising that. You can find out more details about Steve’s innovative romantic gesture over at his website Ahead Robot.